The Star Wars® Project is actually many projects rolled together. 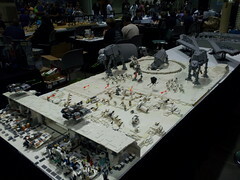 The project consists of various large scale movie dioramas like the battle of Hoth and the Pod Race on Tatooine. 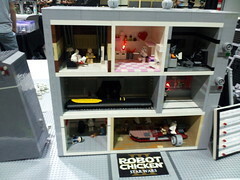 The dioramas will have space for several small MOCs and other creation constructed by numerous builders, so this will be a collaborative project that may extend beyond GFLUG membership. 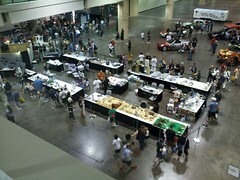 There is also a plan for various rare sets and MOCs to be displayed. 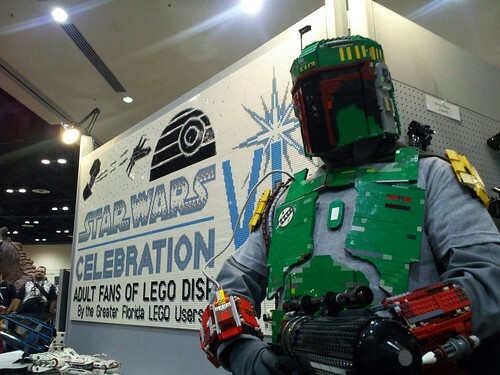 There will also be members dressed as characters from the movie made with LEGO Bricks. 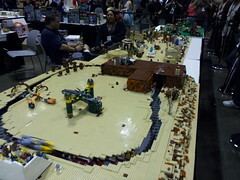 The project was first displayed at Star Wars® Celebration V back on August 12-15, 2010 at the Orange County Convention Center. 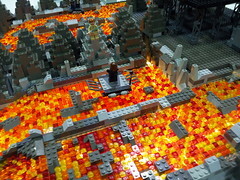 Click here to see images of the display. 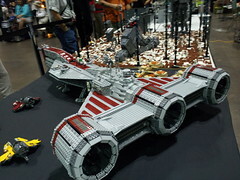 The full display was last shown at Star Wars® Celebration VI - August 23-26, 2012 in the Orange County Convention Center Orlando, Florida.